Product #46667 | SKU 17581 | 0.0 (no ratings yet) Thanks for your rating! 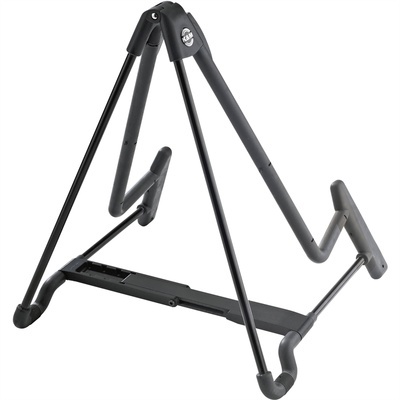 Styled in a black finish, the 17581 Heli-2 from K&M is an electric guitar stand. It utilises four adjustable positions to hold various different sizes of electric guitars. Rubberised support arms, stable footing, and a steel construction ensure the protection of your instrument's finish, as well as a solid grasp of your instrument itself. When you're not using the stand, it can fold flat for easy storage or transportation.